As most countries, France is dotted by many cities and villages. Although the majority of them have perfectly normal names, some of them will certainly bring a smile to your face. In fact, the French countryside is full of little gems. So to make you laugh, we have decided to share our favorites with you. 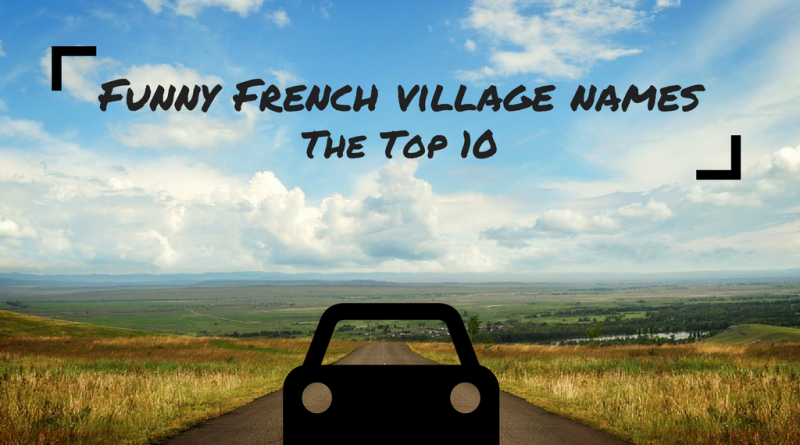 Here is our top 10 of the most funny village names in France! Don’t let the name of this village deter you, the people of Bourré are not actually drunk but really rather nice. If you fancy a trip there, which you should, there is a stunning underground city that you can visit along with a mushroom farm, a must see for any person interested in troglodyte constructions. Who doesn’t know the Camembert, one of the most famous French cheeses? Often featured on the cliché pictures of France, this one is a rock star among its kind. The town is the place where this cheese was born, hence the name. There you can visit the Cheese Museum (yes, it is in the shape of a camembert cheese), Beamoncel (the house where Marie Harel, creator of the camembert cheese, lived) or the Ferme Président. 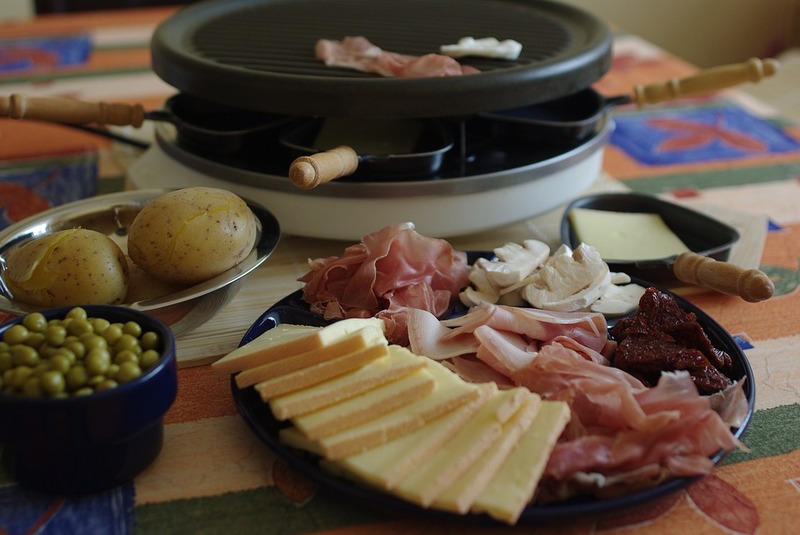 Cheese aficionados, this place is for you! Although the name of this Breton village means ‘nothing more’, there are certainly plenty of things to do when you are in Plurien. You can, for instance, go to the beautiful Cap Fréhel where you can walk along stunning cliffs or visit the lovely lighthouse that guides boats approaching the coast there. What France be without a village with a culinary related name? Le Bouillon is a lovely town in the Orne where main attraction is not food, as you might think, but the great wildlife park of Ecouves. The town of Saint Arnanc is anything but a fraud. Located in the Pyrénées Orientales, this lovely town is the departing point of a great hike and there are three chateaux within easy striking distance. Even if the name of this village says so, we recommend you do not go away and spend an afternoon visiting the main attractions of this village. From the circus museum to the beautiful church there are plenty of reasons to stay in Vatan. Villeperdue is not a lost town as its name would let you think, it is actually quite a dynamic town close to the university city of Tours. There are lots to things to do – our favorite is a tour around the beautiful chateau of Boisbonnard. Autruche is a small town in the Ardennes. The name of this village literally means Ostrich, like the animal. But before 1999, you couldn’t find any in this village, despite the name. So after numerous questions from tourists wanting to know if there were ostriches in Autruche, the mayor eventually made it happen. You can now visit them for free all year round. We hope you had fun while reading this article. Feel free to let us know which names are your favourites! 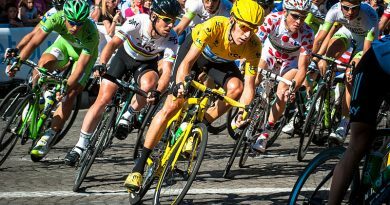 Watch out for the biggest bike race in the world – and all the great properties along the route!